I once tried to grow an herb garden. I bought one of those kits and followed the directions. I was doing ok for a couple weeks, but then when I went to move the herbs to bigger pots, they slowly died. I often think about trying it again, but just haven’t found the time to research more into it. I’ve been buying my fresh herbs at the grocery store and every time I do, I feel a twinge of guilt that I really should try to grow my own again. I love the flavour of fresh herbs and how they transform a recipe into something truly extraordinary. 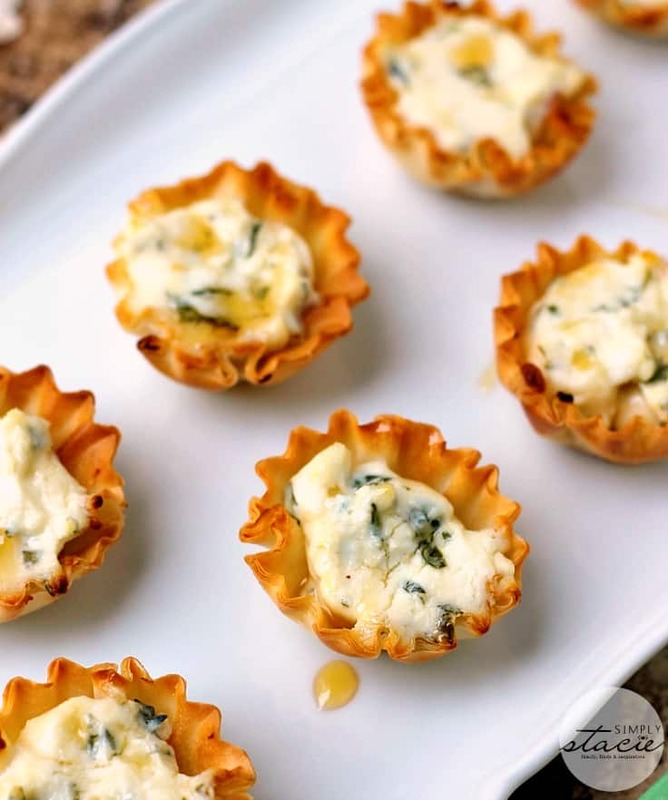 Like this recipe for Spring Herb Tartlets with Honey and Goat Cheese. 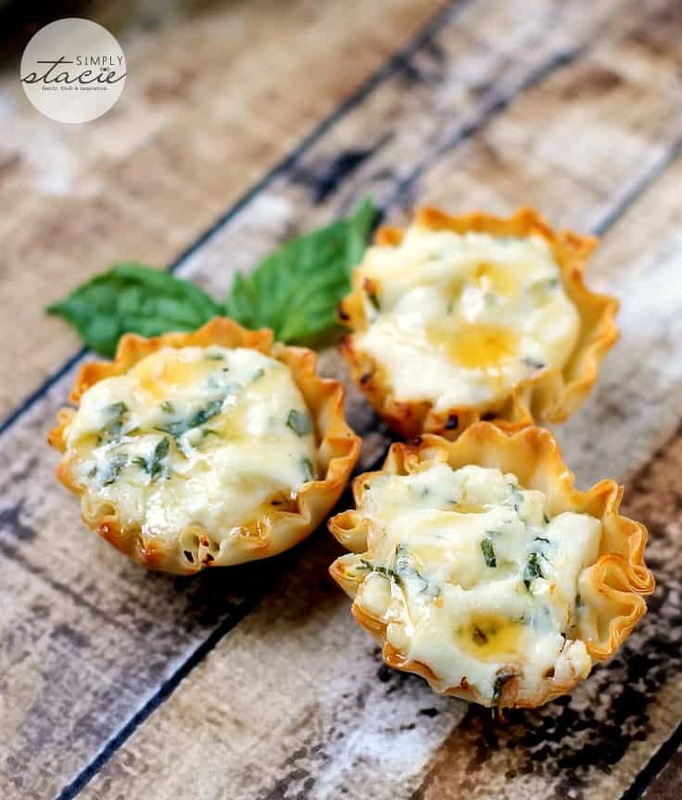 Imagine a creamy, smooth filling with a fresh burst of herb-y flavour and a touch of sweetness all nestled inside a buttery phyllo pastry cup. They are bite-sized and will be gobbled up quickly! If you are having a get-together and need to bring a dish to impress, make this recipe! They go fast so you may want to double or triple the recipe if you have to feed a crowd. Heck even if you don’t have anything special going on, you can still whip a batch of these to enjoy. Anytime is a good time to savour good eats! I know, I can’t resist a taste! I have to hold myself back from overindulging, but a bite or two never hurts! 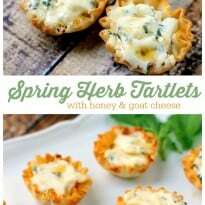 Delicious recipe for Spring Herb Tartlets with Honey and Goat Cheese. Super easy and super YUM! In a medium bowl, add cream cheese and goat cheese; using a fork, mash to combine. Add thyme, rosemary, basil, salt; mix to combine. Add honey, mix to combine. On a baking sheet, arrange phyllo shells. Add about 1 tsp of cheese mixture to each shell, pressing down lightly to fill all space. Place into oven on middle rack, bake for 10 minutes or until tops of shells are beginning to brown. Lightly drizzle honey over the tops and serve immediately. Any shells you have left over can be reheated for a few minutes in the oven. Join the #OneWalkShoeSelfie Twitter Party on June 2nd! 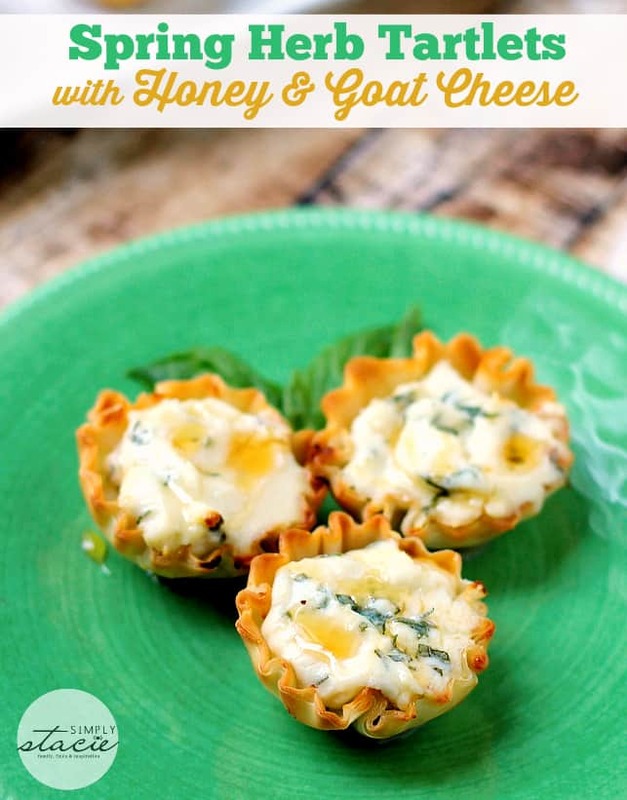 These look so good!… and I just happen to be making goat cheese today! I’ll have to pick up some phyllo and try these out. These look so delicious. As a cheese addict, I need to try. Love goat cheese, this is lovely, thanks! Looks delicious. I love Goat’s cheese. 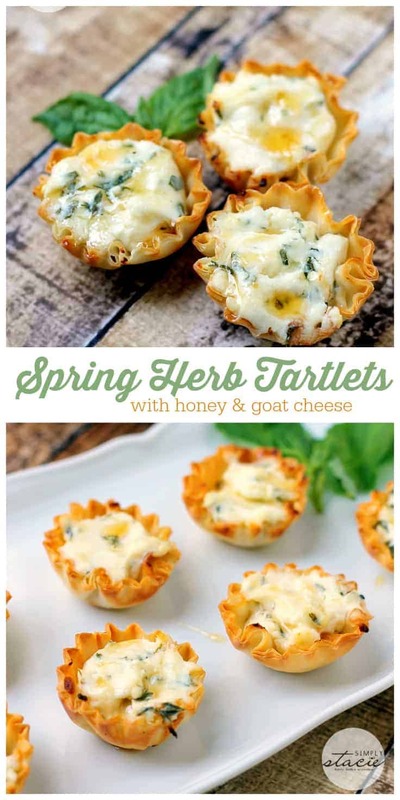 Mmm…herbs and melted cheese…what could be better? These are perfect for a night of friends and drinks, always looking for new treats and this is one of them!! What a wonderful idea, Stacie! Love the honey and herb addition, never thought they’d make such a great pair. 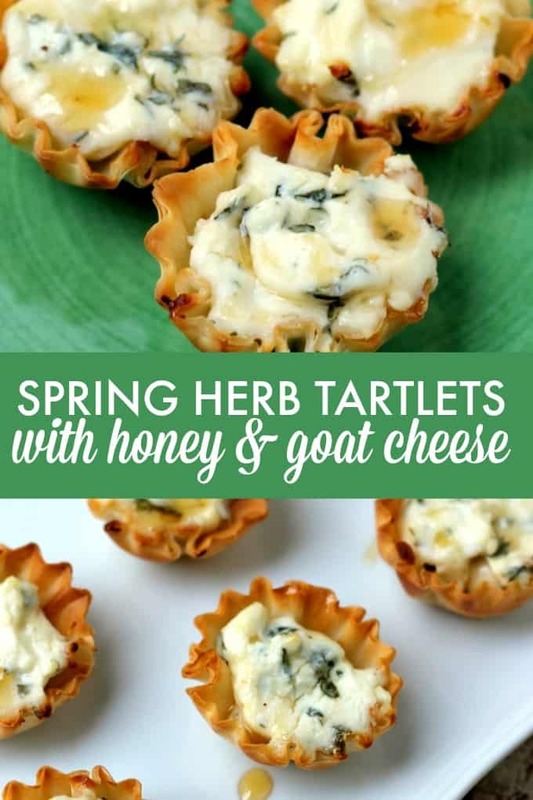 I’ve got some goat cheese left that no one seems to be eager to eat so I’ll just try these delicious tartlets. Love cheese but have never tried anything like this before. I understand on those potted herbs that “anyone” can plant and have a wonderful garden…doesn’t always work that way. 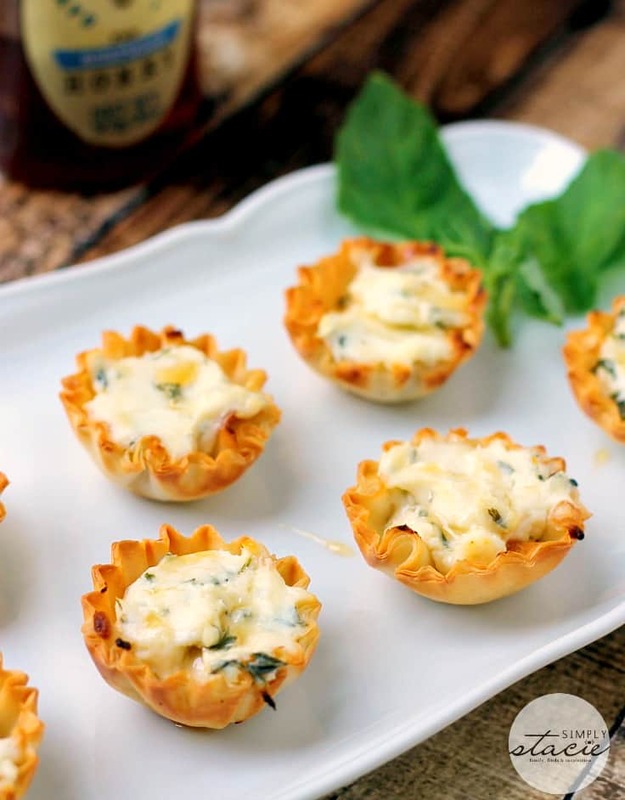 These tartlets sound delicious and the presentation is impressive! I’ll be making this recipe when it’s my turn to have my friends over! These look absolutely delicious! The combination of cheeses with the herbs & honey. Mmmm m!! This ones a keeper! These look delicious!! Pinning and sharing! These look sooo Delicious! I too have tried and failed many a time with an herb garden! Eventually I just grew pots on the kitchen sill of my favourites, and just snip them off as I need them. Until they all die, because I have the opposite of a green thumb! Hmmm, honey and goat cheese, I wouldn’t think that they would go together. This looks very delicious. Thank you for sharing this recipe. Ooooh how elegant and tasty!! Great recipe 😀 Thanks for sharing this with us at Friday Favorites!! Oh my goodness, this sounds delicious. Must try! By the way, I’d love to have you share some posts at my new blog hop—The Weekend Blog Hop at My Flagstaff Home (www.myflagstaffhome.com). It begins on Thursday evening and lasts through the weekend, if you’re interested. Can these be made ahead and frozen? If so, do you bake first and reheat or just fill and then bake when ready? Good question! If I was doing them, I’d bake first and then just reheat when I was ready to serve. I tried growing herbs inside too. But I have 3 cats and they eat anything growing in the house. When someone bring me flower, I have to put them high up or they get to them. I find growing herbs outside is the only answer. My garden has rosemary(grows wild on the West Coast in California). Lavender does Ok, as does thyme, sage and parsley. I confined mint to a ceramic planter, and it broke the planter! Basil needs hot weather, as my experience with it was not successful. Some people buy those expensive gardens to grow inside that are lit by a growing light. Too expensive for my tastes! Good luck with your growing herbs. It really depends on climate, By the way, my rhubarb has outgrown its space and I’m looking for someone to help me divided it.